Serenity Inevitable Betrayal T-Shirt. Don't worry - there are toy dinosaurs in space, too! 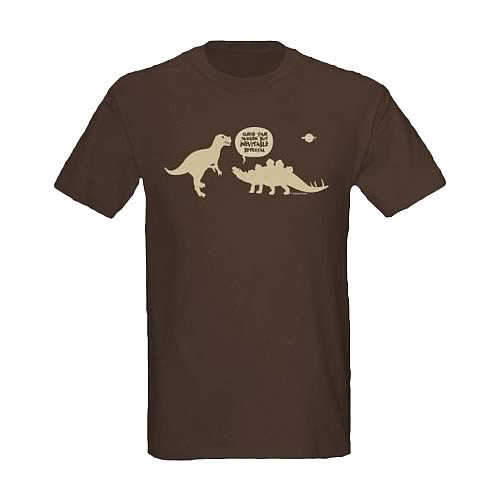 Depict the ravages of evolution with this 100% cotton, high quality chocolate brown t-shirt. Machine washable. Order yours today!